HairMax LaserComb Professional 12 - Does it Work? Get the power of laser hair treatment in the privacy of your home! Now FDA Approved to Stimulate Hair Growth. A claim few products can make. Note: This is the full sized premium model. The less expensive LaserComb Lux 9 and Advanced 7 are also available (below). This product belongs in the class of "growth stimulants". It is for men or women who are seeking to increase the hair counts on their head. It also is used as a calming scalp treatment which helps normalize the scalp environment for optimal results with your other treatments. This technology is currently being safely used in countless other medical procedures including pain relief for arthritis, acute and chronic neck pain, tendinopathy, and chronic joint disorders. Low Light Laser Therapy - is it Safe? Laser therapy has been offered in high end salons for years. Each session can cost upwards of $300. This hand-held device provides you with continued, ongoing therapy, free of charge, in the privacy of your own home. Use for only one week, and this device has paid for itself. 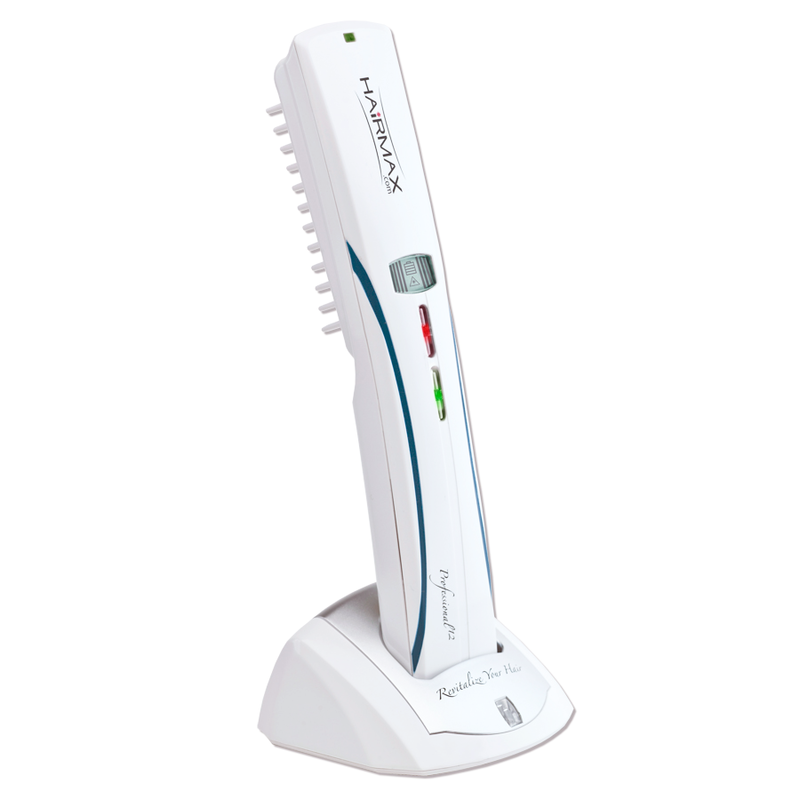 The makers of the Lasercomb have spent years proving the legitimacy of low level laser therapy in the treatment of hair loss. Now they have been granted FDA approval to make claims of hair growth, which is a claim that only two other products in the world can make (Propecia and Rogaine). This device has passed all safety and reliability standards required by the FDA, and has been approved by the FDA as a hair growth stimulant. This is a claim that only 2 other products on earth can legally make (Propecia and Rogaine). This device can be used anywhere in the world, as it runs on dual voltage, though you will need the proper plug adaptors for certain countries, including the UK, Hong Kong, Malaysia, Australia, New Zealand, and South Africa. The following videos will give you an in-depth overview of both the science, and the effectiveness of the Laser Comb.